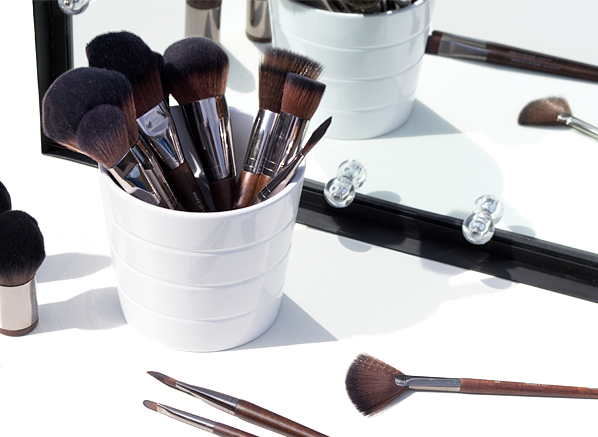 It’s no secret that the right makeup brush can completely change the way you do makeup. You may have the world’s best-selling foundation or skin-perfecting powder, but without the necessary tools, you won’t get the best out of your products. That being said, it may not be a simple add to basket solution, as makeup brushes come in all shapes and sizes – but that’s where this edit comes in. Inspired by one of my latest beauty discoveries, the MAKE UP FOR EVER Kabuki Pro Bronze Fusion Brush 136 (my new holy grail bronzing brush), I want to share MAKE UP FOR EVER’s brush collection with you. With a brush for every task, all MAKE UP FOR EVER brushes are hand crafted by artisan experts and have synthetic bristles, which buff and blend your makeup to perfection (you can take my word for it). Different foundation brushes will give you different results, so it’s important you pick the right one. When choosing a foundation brush, you should ask yourself: what formula will I be using with the brush and what coverage do I want to achieve. Foundation Brush Small 104 – A classic style foundation brush, 104 can be used to apply cream or liquid formula foundations. Great for a precise and high-coverage application thanks to its thin width and pointed top, 104 allows you to build coverage in an instant. Foundation Brush Large 108 – Ideal for the face or body, 108 is Larger and thicker than 104. Perfect to use with cream or liquid foundations, the brush will give your base a soft, diffused finish thanks to its fluffy fibres and rounded brush head. Foundation Kabuki Brush Medium 110 – Great for travel and achieving a high coverage result, the Foundation Kabuki Brush – Medium 110 has dense, straight fibres, which makes building and buffing-in coverage (liquid, cream and powder) quick and easy. 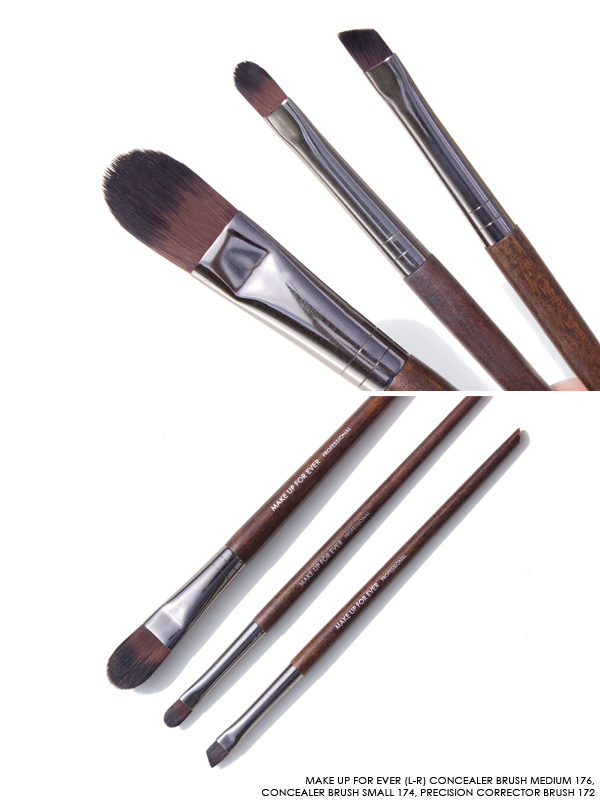 Unlike foundation brushes, you may find the need to have more than one concealer brush. Alongside a concealer brush for under the eyes, I recommend having one that’s only used for covering blemishes, to ensure optimal hygiene. Precision Corrector Brush 172 – Designed to give a clean stroke every time, 172 has dense, angled fibres that can be used to touch-up imperfections, makeup mistakes and outline the eyebrows. Concealer Brush Small 174 – If you’re prone to blemishes this is the brush for you! 172 will make covering imperfections a breeze with its straight and flat fibres. Concealer Brush Medium 176 – Great for applying concealer under the eyes, 176 has stiff, firm fibres and a pointed tip, which allow you to apply product with ease. 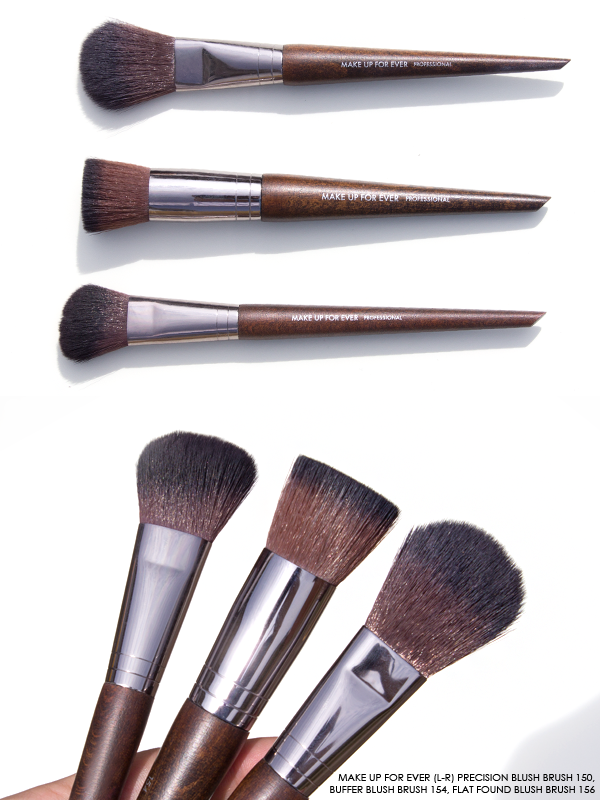 Your powder brush will be the most versatile brush in your collection, so pick it wisely. 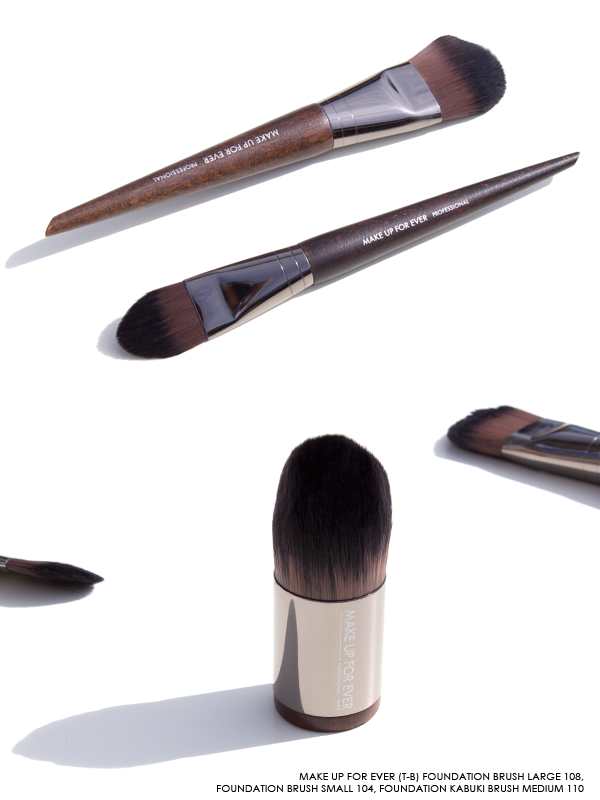 If you’re looking for a powder brush with maximum blendability opt for one with fluffy, long fibres. If you’re on the hunt for a brush to use alongside your powder foundation, choose one that reflects the coverage you want to achieve (a densely-packed brush will pick up more product and give more coverage). Blending Powder Brush 122 – Large with flared fibres, 122 is the ultimate tool for both powder and liquid formulas. Extremely soft, the multi-purpose brush has a light-touch, which makes it an ideal choice for someone with sensitive skin. 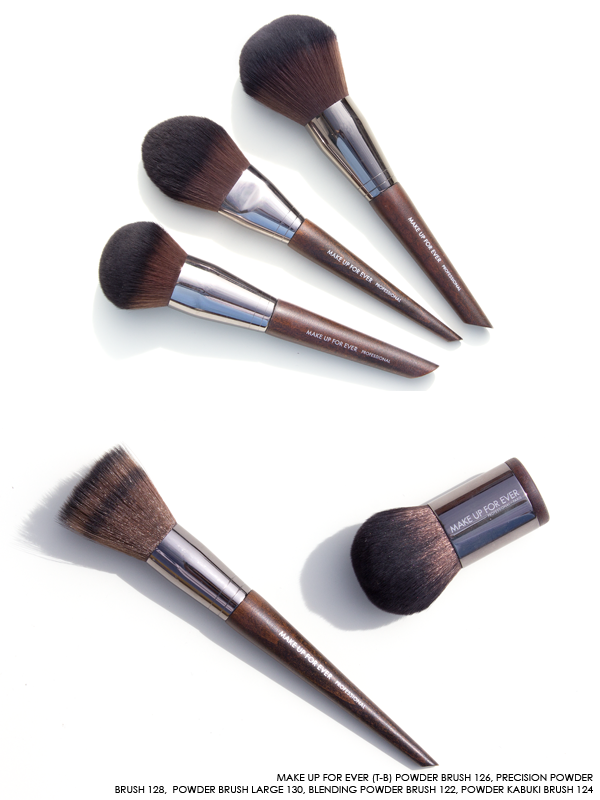 Powder Kabuki Brush 124 – Excellent for buffing powder foundation all over the face, the 124 Kabuki brush has soft, wavy bristles that pick-up and distribute product effortlessly. Powder Brush Medium 126 – Super soft, 126 has wavy fibres that are more rounded than the other options listed, which allows for a more high-coverage result. Precision Powder Brush 128 – With a slightly tapered tip, 128 delivers powders to all areas of the face with ease and precision, helping your complexion to stay matte all day long. Powder Brush Large 130 – If you’re looking for a no-fuss powder brush, this is it! 130 picks up and deposits a controlled amount of powder each time, for a natural and never cakey result. You may be thinking why are there some many blush brush options? And that’s because they all do a very different job. Whether you’re dusting the apples of the cheeks, sculpting with colour, or buffing in a cream there’s a brush that’s made just for the job. Precision Blush Brush – 150 – Made to hug the contours, 150 is the one to choose if you’re using blush to shape the face, as it can also be used as to highlight and sculpt thanks to its angled head. Buffer Blush Brush – 154 – Suitable to be used with cream or powder formulas, 154 makes buffing out all product easy with its densely packed brush head and soft fibres. Flat Round Blush Brush – 156 – With fluffy, super-soft fibres, 156 can be used with loose or compact powders and will give a diffused finish. The first thing on your tick-list when choosing a sculpting brush is super soft fibres, this will ensure your bronzer is always blended to perfection. Secondly, choose what type of sculpting you’re going to do. If you love a high definition contour go for a densely-packed brush or an angled brush head that allows you to get under the cheek bones. 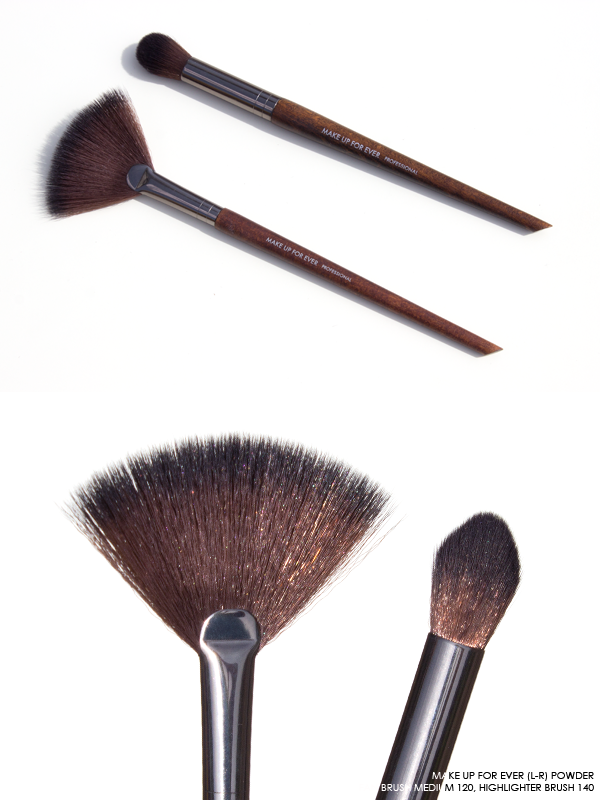 If you prefer a softer, more natural finish opt for a larger, fluffier brush (any powder brush above can also be chosen). Kabuki Pro Bronze Fusion Brush – 136 – Made for those that love a bronzed glow, the 136 Kabuki has a densely-packed, flat-topped brush head, which buffs product effortlessly into the skin. Double-Ended Sculpting Brush – 158 – The perfect two-in-one, 158 has angled brush head on one side and a rounded brush head on the other, making it a must-have tool for applying and blending bronzer. When it comes to highlighting you’ll want to use a small brush, to ensure highlighter is applied precisely. 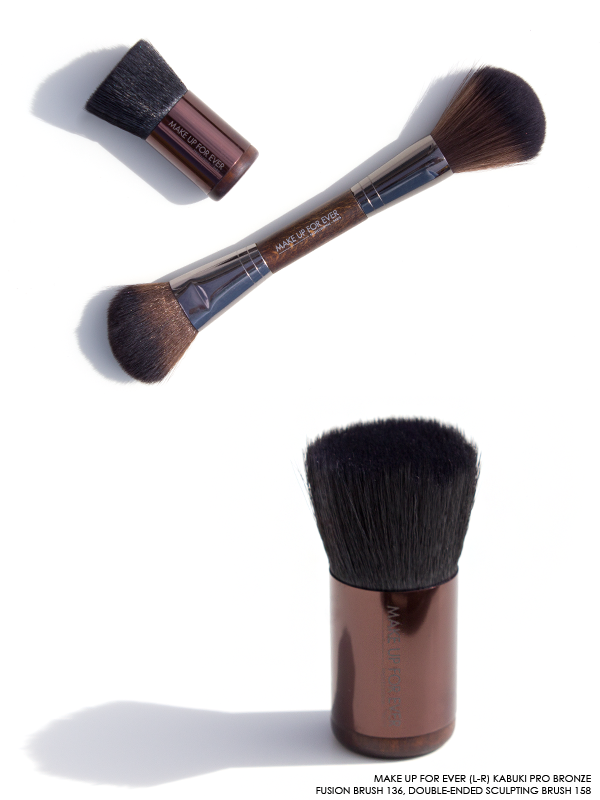 Choose a brush that’s not densely-packed so that it blends out the formula with ease, effortlessly into the skin. Highlighter Brush – Small 140 – Apply pigmented product in small areas with 140, a fluffy rounded brush that is firm, precise and soft all at once. Powder Fan Brush – Medium 120 – A brush everyone needs in their collection, a fan brush will dust your complexion with highlight without disturbing any of your other makeup. This entry was posted on Tuesday, August 29th, 2017 at 11:21 am and is filed under Brand Focus, Hints & Tips, Make-up, Spotlight On. You can follow any responses to this entry through the RSS 2.0 feed. You can skip to the end and leave a response. Pinging is currently not allowed.